Source: Quarterly Bulletin Bureau of Public Works, 1915. 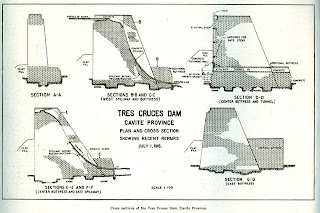 The Tres Cruces Dam is located 7 kilometers up the Timalan River from Manila Bay. The present structure was completed in 1886, replacing another of the same type which was washed out in the seventies. It is constructed of large cut adobe blocks quarried on the site, the mortar being a very porous lime plaster. This mortar, where protected from atmospheric action, has a high cementing value, but it will absorb water to the extent of about 20 percent of its own weight. The foundations of the dam rest on solid adobe. This was excavated about 1 meter deep, and a number of trenches parallel with the main axis of the dam were excavated still farther into it. 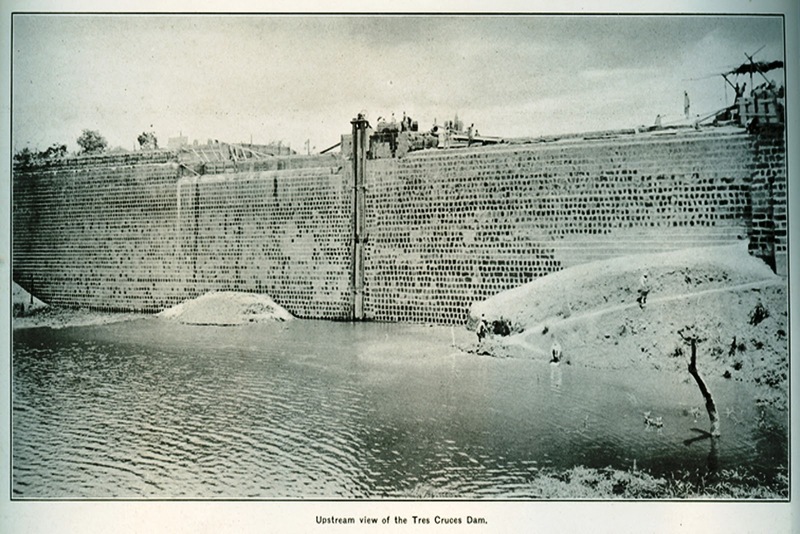 The footing courses were started in these trenches, which not only gave the dam more resistance to seepage of water under it, but also gave it greater resistance to sliding. The structure was built with a gravity section, but this is so thin in places that additional buttresses on the downstream side and a clay bank on the upstream side had to be added later to make it more stable. One section 13 meters in length is 15 meters high and only 6 meters wide at the bottom. This is immediately against the west spillway and nearly at the center of dam, but a small buttress has now been added. During the last few years the spillways have been badly damaged, the west one having been completely washed away and the east one about 40 percent washed away. Approximately 6 gallons of water per second, or 864,000 gallons per day, determined by weir measurements, have been passing through and under the dam, taking so much away from the irrigation ditch that something had to be done quickly not only to preserve the irrigation system, but also to put the dam in a safe condition. An appropriation of P30,000 was made by the friar lands division of the Bureau of Lands, and the Bureau of Public Works was requested to make necessary repairs. Work was commenced in December of 1915. To stop the leaks showing in the face of the dam, it was necessary to let the water out; and, as no gate had been provided, a tunnel had to be excavated through the structure. This was located at the original streambed center. 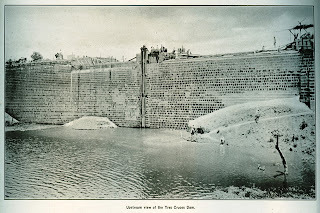 Clay had been placed by the builders, on a 1:1 slope and 5 meters high, on the upstream side of dam to prevent excessive seepage through and under it, and elevation of the tunnel was made such that the top of it when holed through came just 3 meters from the nearest surface of this clay bank. It was believed that the clay would withstand the pressure of a 46-foot head, 20 pounds per square inch, long enough to allow the workmen to escape after they had excavated through the dam masonry into the clay. The tunnel excavation was made 1.6 meters in diameter and was lined with concrete to leave an opening 1 meter in diameter. Three eight-hour shifts were employed, consisting of four men each, and the adobe and lime mortar were so tough that never more than 1 lineal meter was completed in twenty-four hours. The heading was kept 2 meters in advance of the cement lining, which was placed in 3-meter sections, and the tunnel was completed at the rate of 60 centimeters per day. It is just 18 meters long and required one month to complete. When the excavation reached the end of the adobe on the upstream side and the laborers put their picks into the soft clay, they required no instructions as to their course of action if water started seeping through the heading – they simply flew, leaving picks and bars. This was at 9.40 on Sunday night, and at 2.30 on the Monday afternoon following the water broke through and shot out 40 feet below the dam before striking the ground. It took just forty-eight hours to drain the basin down to the natural inlet flow, which amounted, during the whole dry season, to a stream 1 foot deep on the bottom of the 1-meter diameter tunnel. This, however, is only one-third of the amount of water flowing into the dam reservoir and thus available for irrigation, for another stream 2 kilometers farther up is dammed and its water delivered through a 300-meter tunnel to the Tres Cruces reservoir. 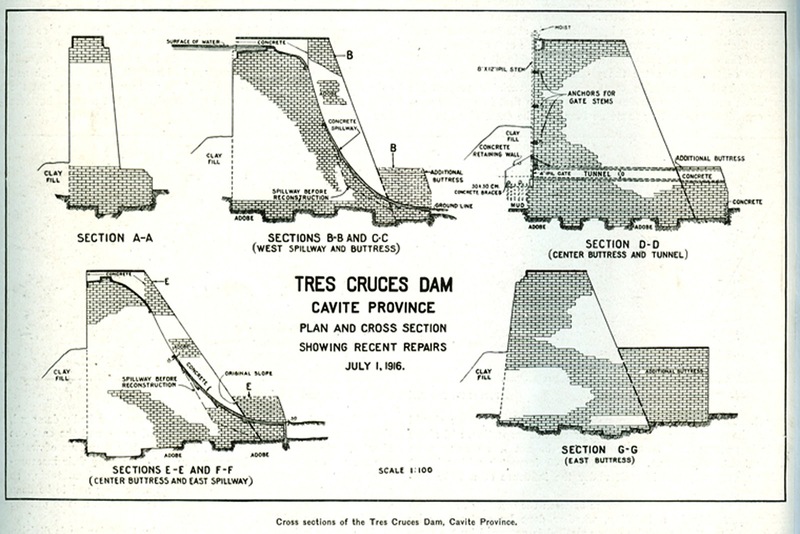 During the repairs to the Tres Cruces Dam, this supply was passed over the other dam by closing the tunnel. Hundreds of natives gathered around with nets and baskets to catch the fish as the water drained out. It is estimated that at least 4,000 pounds of fish and several hundred eels, some 6 feet long, were caught. After the dam was unwatered, a trench 1.5 meters deep was excavated in the clay bank on the upstream side and the whole of that face repointed. Every seam and joint was cleaned out to a depth of 5 centimeters and a 1:2 cement-and-sand mortar was used for repointing them. Numerous holes were encountered below the water line, some requiring several bucketfuls of grout – 28 in one case – to fill them. A large worm gear hoist of 6 tons capacity was installed. 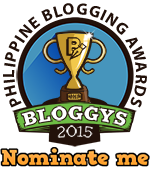 A gate was built at the upper end of the tunnel, made of 4-inch ipil timbers and brass bound. A heavy brass-bound frame matching the gate was fitted into the face of the dam by excavating in the adobe, after which a rich concrete mixture, 1:1-1/2:3, was poured in to fill the space around the frame and to connect it with the concrete lining in the tunnel. The gate opening is 75 centimeters square. Considerable trouble was remedied by wedging the gate up tightly against the frame and then caulking around the edges from the tunnel side. After the water had risen to an elevation of 30 feet above the gate, it was hoisted to release the wedges and burlap caulking and then immediately lowered to place. It sealed the opening absolutely – not one drop flowing through. With this head the total pressure on the gate (which is 1 meter square overall) would be about 10 tons. One large additional buttress was built between the two spillways and one at the west side of the west spillway, using 30 by 30 by 80 centimeters adobe blocks and a 1:4 mixture of cement and sand for mortar. Six thousand blocks were used in these buttresses, the dimensions of same being shown on the plan. Three thousand more blocks were used in laying up the curves for the two concrete spillways. 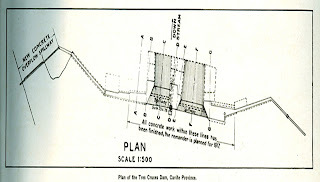 Three-eighth inch round reinforcing bars were used in the concrete surfacing on each spillway, spaced 60 centimeters on centers both ways, and ½ inch square twisted dowel pins were driven 20 centimeters into the adobe at each bar intersection, the reinforcing being wired to these dowels. Ample provision has been made to carry away any seepage through the dam which would be liable to be caught behind the concrete by the use of tile and steel pipe. At the location of the large leak, a trench 1 foot square was dug the full width of the spillway, filled with 2-inch gravel, and from this a 5-inch vitrified tile drain was led under the concrete to the downstream side of the curtain wall at the end of the spillway. In addition, every 2 meters along the vertical length of each spillway a 6-inch square trench was excavated and filled with large-size gravel, and every 2 meters a 2-inch galvanized-iron pipe was led out flush with the concrete surface of the spillway floor. A strong curtain wall was built across from the two buttresses at the outside edge of each spillway and the concrete was butted up against it. It is 1-1/2 meters deep into solid adobe in the stream bed and is 50 centimeters thick. All downstream joints in the masonry were then repointed. 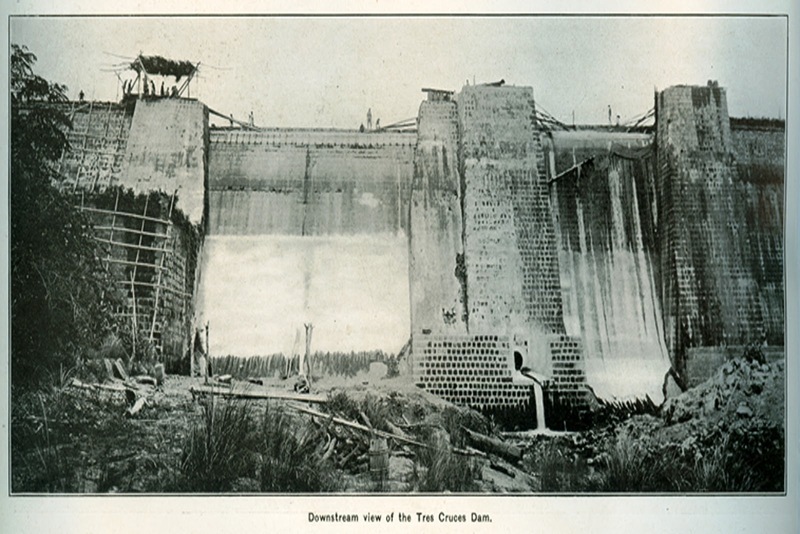 An additional spillway was provided at the extreme west end of the dam by constructing a concrete curtain wall from the end of the dam across a natural depression and anchoring it into a high bank on the opposite side. This spillway section is 18 meters wide and is built so that when the water exceeds 1 foot depth on the crest of the main dam spillways it will flow over the new one, which will take care of a great deal of flood water. This depression leads away from the dam and, being in solid adobe, can never cause any dangerous scouring around the end. The total cost for repairs has been approximately P29,982.27. An additional appropriation of P5000 should be made available to finish the concrete work on top of the dam, and the work should be done during 1917. 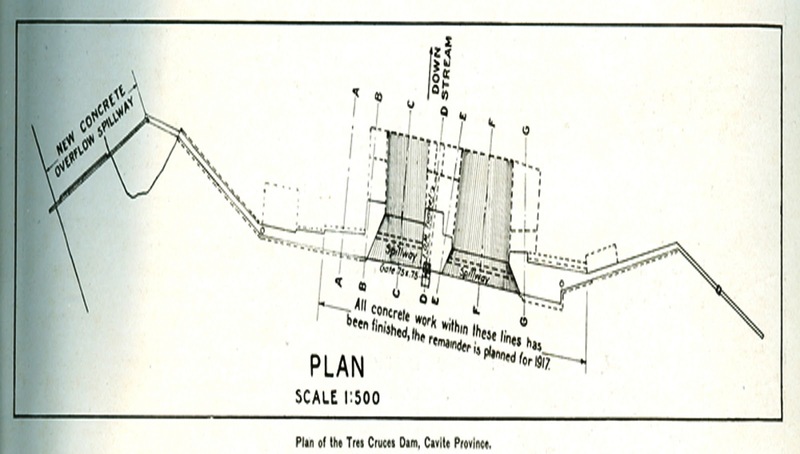 The cross sections show how it is proposed to place this concrete cap over the entire top to protect the adobe from wear caused by the people having to use the dam as a foot bridge. A section 53 meters long, including the two spillways, has been completed according to this plan and is an absolute protection to the soft stone. MANILA - A boy was killed after being swept away by floods in Barangay Tres Cruces in Tanza, Cavite Monday. Mayor Marchus Ashley Arayata said a portion of the dam gave way near the house of the unidentified victim. The mayor said the boy, a Grade 3 pupil, was swept away by the flood. Rescuers are still searching for the victim's sibling.